More than thirty years ago, Steve started collecting the odd piece of service station memorabilia and now has an extensive collection. 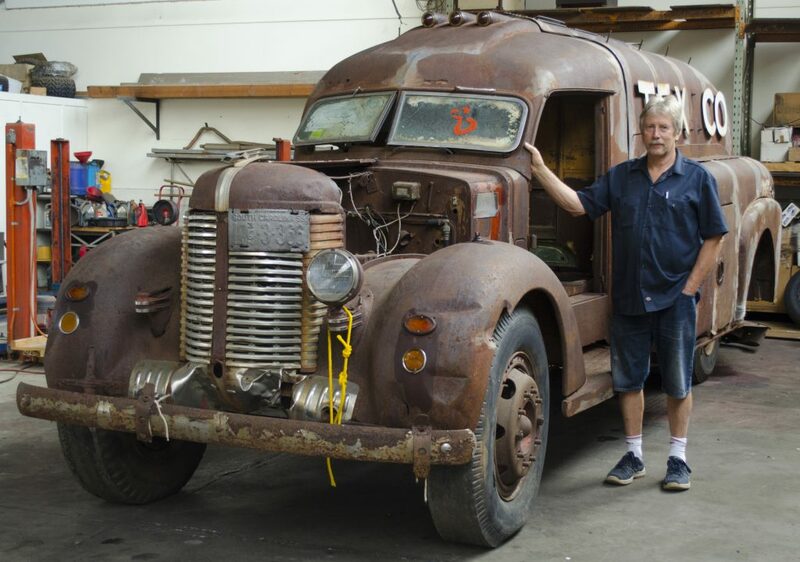 He does ongoing restorations on gas pumps and service station collectibles and is an avid collector. Steve has been immersed in classic and collectible cars his entire life with his late father, Les, owning vintage cars for more than four decades. Steve began building hot rods in his late teens and for the past 40 years has owned vintage, hot rod and classic cars. In the late eighties, Steve built (and raced) a popular Mercedes doorslammer, a 1986 500SEC. He has done a number of rebuilds over the years with the more recent projects being a 1964 Ford Fairlane Thunderbolt recreation and a 1951 Ford F5 Cabover. We share a passion for both gas memorabilia and the stylish designs of vehicles from the art deco era. So when the possibility arose recently to preserve a historic piece that encompassed both, we jumped at the unique opportunity of a lifetime.